I heart podcasts, especially since moving a bit further into Brooklyn and changing offices to one a bit further into Manhattan. As my commute has grown, so has my digital subscription list. 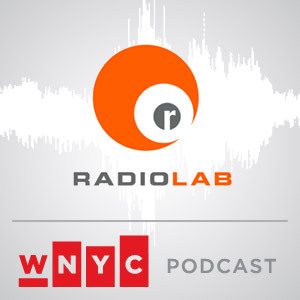 Lately, I’ve been getting into RadioLab, which is awesome because despite numerous recommendations I had never really listened to any episodes before. Thus, the online archive of free downloads is an absolute treasure trove of straphanger distraction. This morning, for example, I listened to a vintage episode called Detective Stories. It opened with producer Jad Abumrad standing on top of Fresh Kills landfill after it was closed but before conversion had begun to turn the site into a park—my kind of intro! The point being that landfills house a wealth anthropological stories that, inevitably, will one day be dug up. Then, to my delight, the first main chunk of the program features an ancient Egyptian dump where scientists have recouped fragments of paper from 2000 years ago that add to and throw into question everything we know about Jesus. That’s right, Jesus. Check it out for yourself here. This entry was posted on Tuesday, September 28, 2010 at 12:04 pm and is filed under Intellectual Trash. You can follow any responses to this entry through the RSS 2.0 feed. You can leave a response, or trackback from your own site.